The Magic Arrow sorts out low-probability signals in a trading strategy. The indicator uses a sophisticated filtration algorithm based on the market sentiment and trend. The indicator displays arrows on a chart (see attached screenshots) indicating a likely price reversal. Magic Arrow is not repainted. Once the candle is closed, a signal is confirmed and will never disappear from a chart. You can setup alerts when new arrows are displayed on a chart. 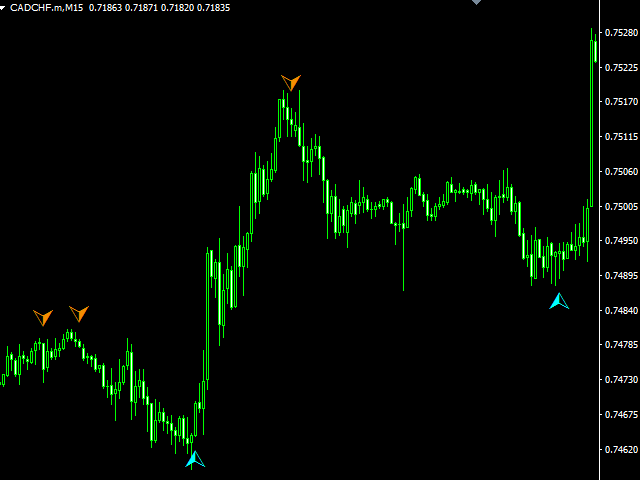 The indicator is not designed for scalping. It is best to be used on higher timeframes: M30, H1, H4 and D1. 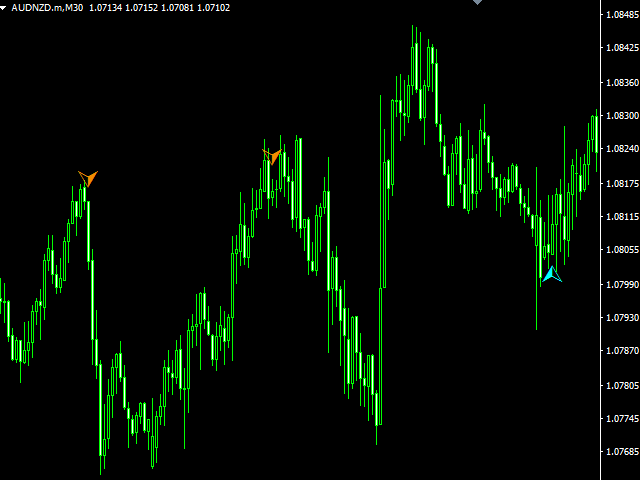 Simple and easy indicator configuration. Works on any financial instrument. Sending signals to email and mobile devices. USDJPY, USDCAD, USDCHF, CADCHF and AUDNZD. Buy signal: the indicator arrow points upwards. Sell signal: the indicator arrow points downwards. The product has proven to be efficient in conjunction with the Exclusive Stairs and EW oscillator indicators. Period - indicator calculation period (main parameter). Push - enable/disable sending messages to mobile phones. Dont waste your efforts and account. Theres signals thats good, but so much signals very wrong. 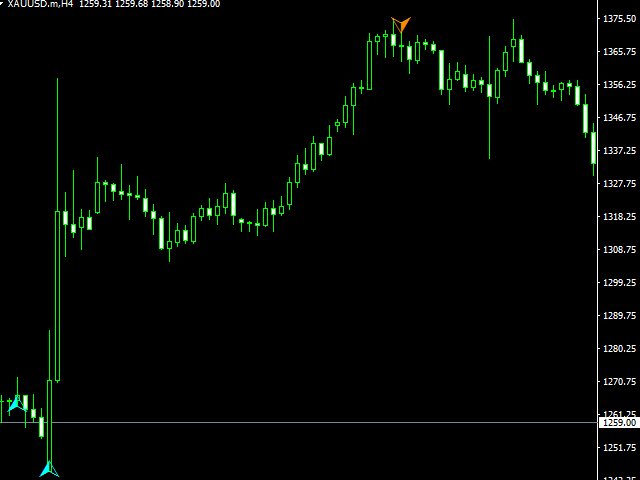 It ran GBP/JPY, Buy arrows from 4 March to 11 March. 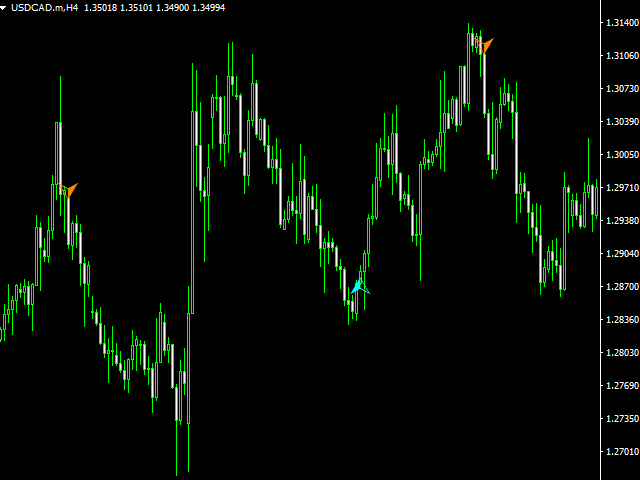 -311 pips before returning to breakeven. 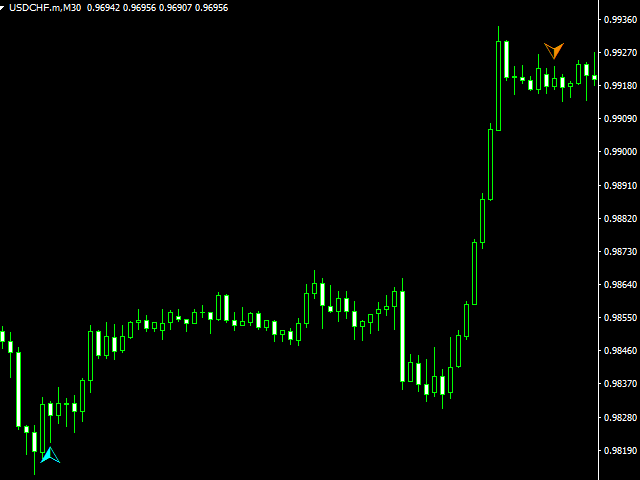 Before that -500pips in trying to indicate Sell arrows. 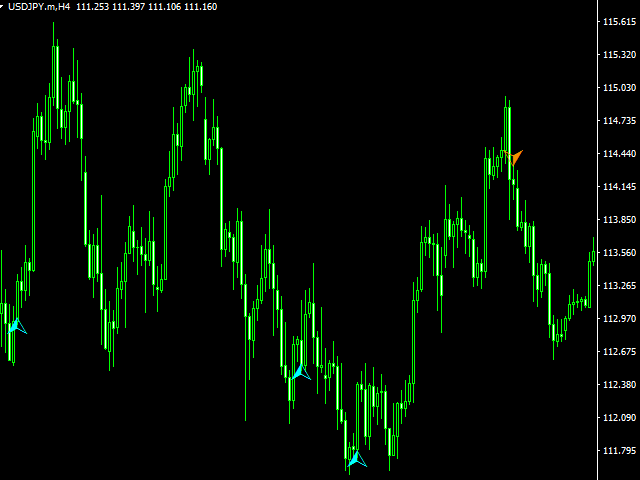 -137 pips to break even before the next move first mentioned.